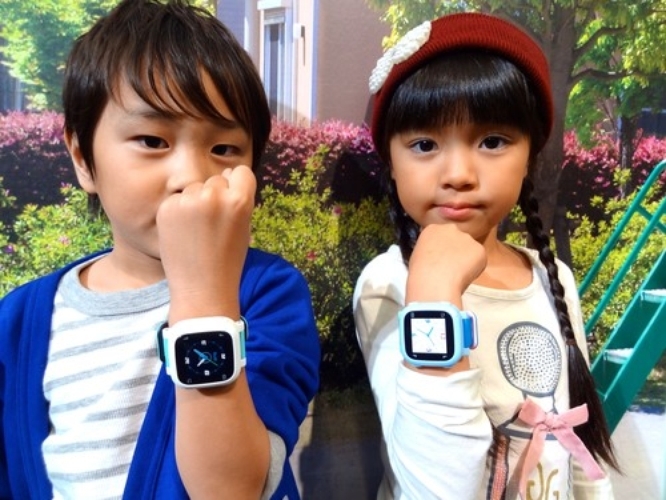 Parents who want to keep a close watch on their children are likely to be eyeing a new smartwatch from Japanese mobile carrier NTT DoCoMo. The Docotch 01 is a sensor-filled, wearable tech device that reportedly can perform many functions, including alert parents if a child wanders off as well as prevent heatstroke on hot days. DoCoMo reports that its Docotch 01 watch includes a GPS for location tracking as well as air temperature and humidity sensors. The former item helps the device keep track of wandering children, while the latter reportedly can help children prevent heat stroke on hot days. There’s even an accelerometer that can determine if the wearer is running around or not. Parents can link the wearable watch with a smartphone via a Bluetooth connection. Plus, the 3G connection lets children message their parents. An app helps parents monitor their children via a smartphone, tablet or computer. DoCoMo plans to release the smartwatch in March 2015. Although the price was not officially announced, industry experts estimate it would cost around ¥10,000 (US$91). The subscription service will cost ¥780 per month. Although it’s only intended for release in Japan, the technology indicates other child-centric wearable tech devices might be heading for the market in other countries as well. Child-tracking devices are finding a solid market in the United States—as they feed into parents’ worries about kidnapping. The National Center for Missing & Exploited Children estimates 800,000 children go missing every year. However, only an estimated 115 children were the victims of “stereotypical” kidnapping, which involved someone the child did not know or was an acquaintance. In these cases, the child was held overnight, transported 50 miles or more, killed, ransomed or held with the intent to keep the child permanently. Although these cases are rare, U.S. consumers often turn to technology to prevent the worst from happening. That’s part of the reason these types of personal GPS tracking devices are expected to grow at least 40 percent per year through 2017, according to ABI Research, a technology marketing intelligence firm. The combined market is expected to exceed $1 billion by 2017.